Nepalis have always prided in the country’s abundance of hydropower potential that will someday lead to national prosperity. Surveys have established that Nepal has 83,000 megawatts of hydropower capacity of which approximately half is commercially viable. General logic and the resulting government policy has dictated that even if just a reasonable portion of available capacity gets successfully harnessed, it would light up the country, fuel its industries, and leave a huge surplus for export, with potential annual revenue in the billions of dollars, as well as and boundless ancillary benefits to its citizens. 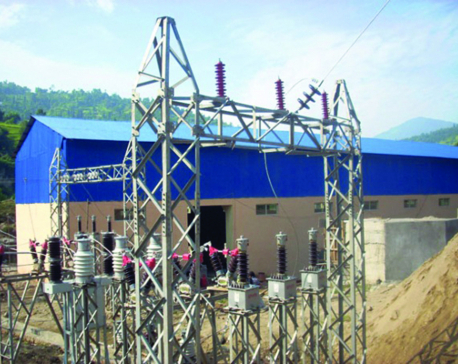 With this premise of ‘affluence for all’ in view, the government has declared the period between the year 2019 to 2029 as the energy decade, and those extraordinary efforts will be made to supply modern energy to every household across Nepal in three years and meet all households’ electricity demand within five years. In fact, the latest budget (2018/2019) provides a huge part of its capital budget of $3.15 billion for hydropower projects to expedite efforts to make 3,000 MW in new capacity available over the next few years. However, this is not the first time such promises have been made. In fact, every National Development Plan since 1956 has made the harnessing of hydropower potential a top priority, and huge sums have routinely been allocated to finance various hydro projects, with the premise of huge increases in generating capacity over the planned period. With such seemingly irrefutable government commitment to hydropower development over the past several generations, it is then utterly bewildering that so little has been accomplished in the energy sector as far as hydropower is concerned. The latest data on hydro capacity of government-owned projects stands at just 757 MW, less than one percent of total assessed national capacity and less than two percent of utilizable capacity. In addition, some 200 MW in hydro capacity has been added to total capacity by private power producers since the first private hydropower project went online in 2000, which is commendable but insufficient to meet the nation’s unmet and ever-growing demands. As a measure of comparison, the closest neighbor to compare this performance to would be Bhutan, which has increased its hydropower capacity from a zero-MW level in the early 1980s to over 5,000 MW today, amounting to about a fourth of its commercially usable capacity. More generally, a regional comparison of the growth of total electricity generation in Nepal also tells part of the story. Based on data available for the latest years—2010 through 2018—total electric generation capacity per capita from all sources increased from 27 KW to 35 KW in Nepal, the lowest in South Asia. Comparatively, per capita capacity grew from 42 KW to 96 KW for Bangladesh from a low of 173 KW to 2,563 KW for India; and for Bhutan, from 2,000 KW to 6,500 KW. This poor performance has certainly not been a result of a lack of monetary investment. Although no firm data are available on budget allocations for hydro over long periods, preliminary data suggest the equivalent of at least $10 billion was spent over the past half century, or approximately $13 million per MW unit capacity while industry consensus pegs the typical cost of hydro development per MW at closer to $2 million. Even accounting for advances in technology or cost reduction over the years, this incredibly large differential brings up a serious case of mismanagement of development funds in the energy sector and, most likely, elsewhere in the economy where government has been entrusted with large amounts of public money for investment. In view of this magnitude of failure to realize the country’s hydro potential, it is now time to look for alternative solutions. Further, these solutions should severely limit reliance on government management, and should also consider alternative approaches to funding and implementation that are also not so reliant on government so as not to repeat the mistakes made with hydro ‘development’ over all these years. The search for additional resources for self-sufficient power generation capacity would need to focus on renewable sources as Nepal is not endowed with traditional natural energy supply sources such as coal, fossil fuels, and natural gas. Of the potential renewable resources, wind, bio-gas, and waste-to-energy sources remain at the margin of accessibility because of their low supply potential and uncertain cost advantages. This then leaves solar energy as the primary challenger to traditional energy sources in terms of accessibility and cost advantages. Regarding accessibility, Nepal presents the ideal conditions for receiving plenty of sunshine, especially in the country’s low plain areas that have only a few months of partial cloud cover, and then cloudless skies with strong sunrays akin to a tropical country. In terms of cost, an initial analysis of solar vs hydro-generated electricity shows solar gaining advantage in the range of 20 to 25 percent of what Nepal Electricity Authority (NEA) quotes as sales price per unit. Further, it is worth noting that the cost of photovoltaic systems shrank by a factor of five from 2010 to 2017 and continues to decrease substantially. 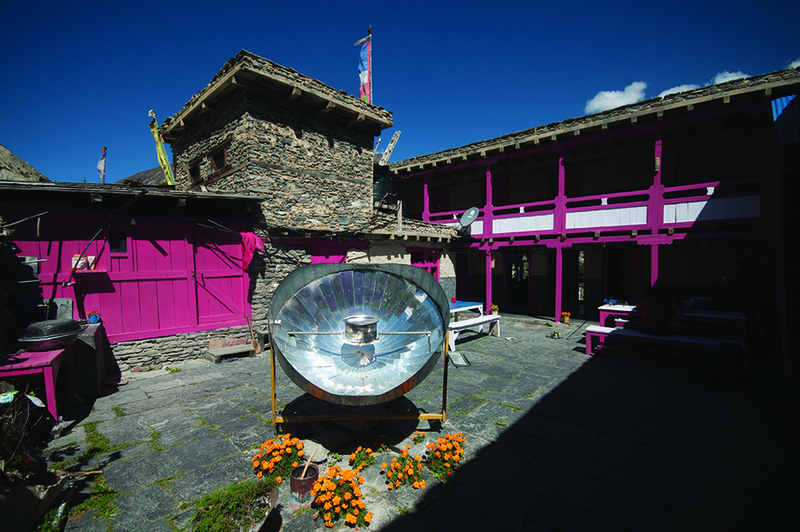 While the private sector has been active in the development of solar energy for at least a decade, primarily in urban centers as a supplement or stand-by to NEA-supplied electricity, projects have been at a relatively small scale and remain inadequate for meeting the country’s continually expanding energy needs that now exceeds domestic supply by more than a third. The industrial-scale development of solar power projects should therefore become the primary source of new supply to the national grid as these larger projects would also substantially benefit from scale related to costs associated with logistics, transport, construction and installation. Further, regarding speed of implementation, a prominent distinction of solar parks is that while conventional industrial-scale plants including hydro can take many years from concept/design to commissioning, solar parks of industrial-scale (10 MW and above) can be completed in turnkey fashion within a matter of months. Without a massive and concerted effort to develop solar power, unmet electricity demand will continue to plague the energy sector, the economy, and the nation at large. This drive for large-scale size investment in the solar sector should have an objective of supplying needed to meet energy demand of 1,000MW capacity in short order that would help cover the current supply gap of about 600MW and rising, and then continuing to add at least 200MW capacity per year for the immediate foreseeable future, through 2030. Also, much of the financial resources for this additional solar power capacity should come from other than the traditional sources, assumed to be government funding, foreign grants, and loans. One potential source that has been largely unfamiliar to Nepal is private equity, through firms that typically purchase equity shares of existing or planned companies or projects on a majority interest basis and engage domestic partners in management and marketing support. Participation by established private equity firms will require that new solar power firms operate under NEA supervision and that their share value is protected by government guarantees. For making government guarantee more secure, NEA can and should arrange a second layer of guarantee from international development institutions, mainly the World Bank and the Asian Development Bank which typically work with client countries for loan securitization of targeted projects. Funding of solar projects with private finance sources operating in international capital markets will be a significant departure from the established practice of international loan funding that, as noted above, ends up in project delays, high cost of production, and unwanted government interference that tends to undermine efficiency and reduce the credibility of decision-making for private sector firms. Globally, solar has been the fastest-growing source of new energy since 2016, outstripping the growth in all other forms of power generation for the first time that the leading experts hail it as a “new era”. The Paris-based International Energy Agency (IEA) has also predicted that solar’s global capacity in five years’ time is expected to be greater than the current combined total power capacity of India and Japan. 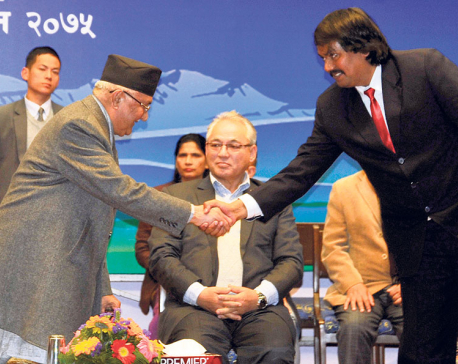 It is time that Nepal and its citizens join in and benefit from this global phenomenon.